It seems like hundred years when I first knew about Schwarzwald. 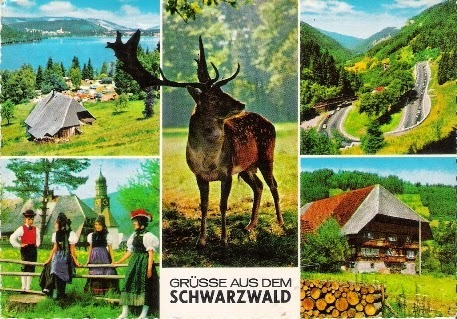 In English Schwarzwald means Black Forest. 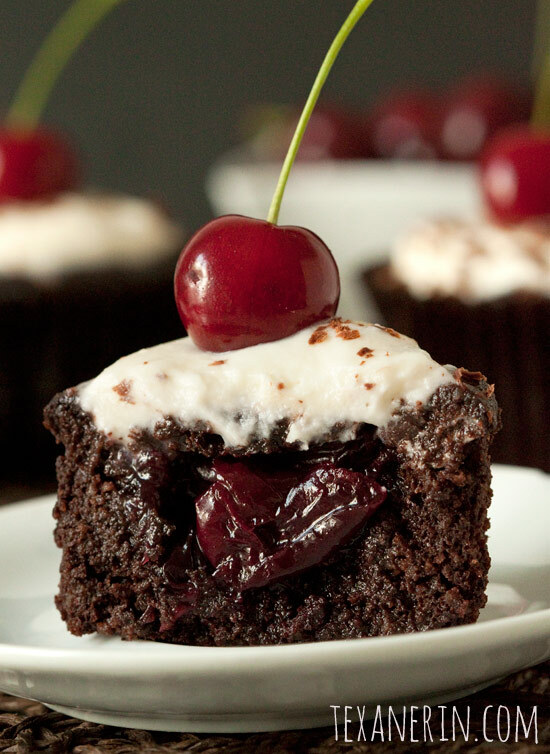 Hmm... it takes me to a very delicious cake when talking about black forest. Yes, Schwarzwälder Kirschtorte is Germany's dessert, which its original recipe uses Kirsch, a kind of cherry distillation. I only know about it by digging into some webs. Years of dreaming about Black Forest got the answer finally. 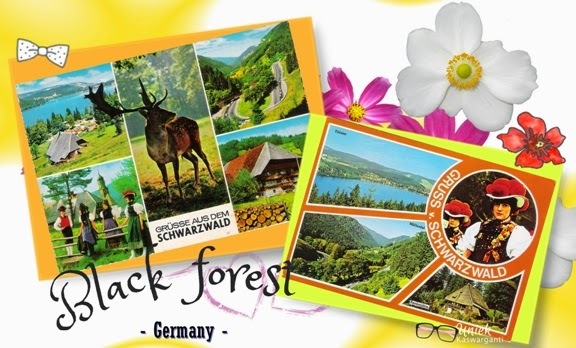 Through a very warm chat with my postcard pals in Germany, we talked about so many things and I said to her that I really want to see picture of Black Forest. Not only googling's the pictures. As a postcrosser, she offered me a very kind hearted option. 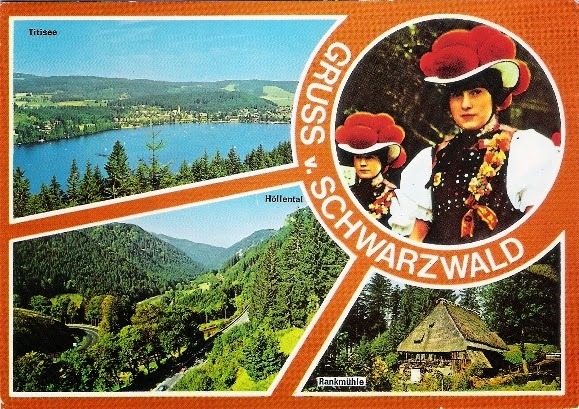 She saw 2 postcards of Schwarzwald in Ebay. It was said the condition of the cards a little bit old and not updated pictures too. But I think it's fine. What do you expect from your friend? A friendship or a certain postcard? I am so happy for these two beautiful postcards. Black Forest or Schwarzwald is located in Baden-Wurttemberg, southwestern Germany. It has many attractive destination there. Just ask google, you will find everything you want from this place. Now I will ask you, my friend, do you know why it's called Black Forest / Schwarzwald? After googling I get some information about it. There are species of Pine Tree with dark grey and dark brown colour in that place. The sunshine hardly brokes through them. That's why it will look like a dark forest for us. Black Forest, it's something beyond my imagination. Thanks for Mr. Bernd Hoffman who informed facts about Black Forest to me while we had a nice conversation in Hamburg. Just because of him I have this marvelous dream. I don't know when I can go back to his country again. Only miracle can make it happen then I can see Black Forest by my eyes. 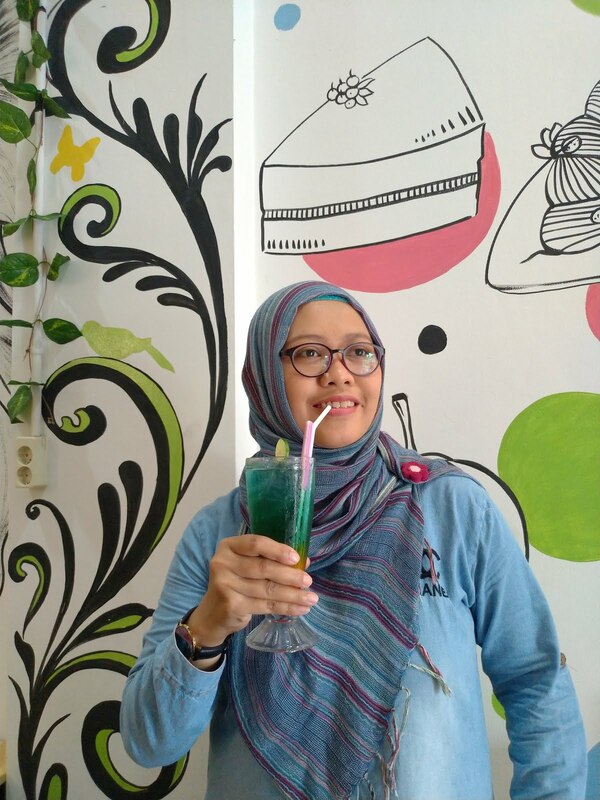 Yang pertama dalam pikiranku jelas kue yang enak ituuuu dan yang kedua hutan! huaaa cakep bener mbak Uniek postcardnyaaa. Hello my Dear, such a beautiful postcards you have. Thanks for coming by, Maria. 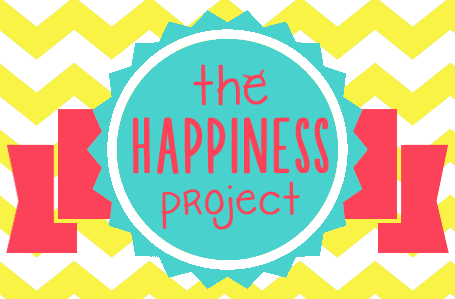 How to start to be postcrosser? You already did your first step to be postcrosser Mak Amma. I received your card couple days ago. Thanks a lot. inget dulu wktu usia 11 -15 tiap ulang tahun pasti cake nya black forest, karena ak maniac bgt sama kue itu!!! yummmy betul lah!